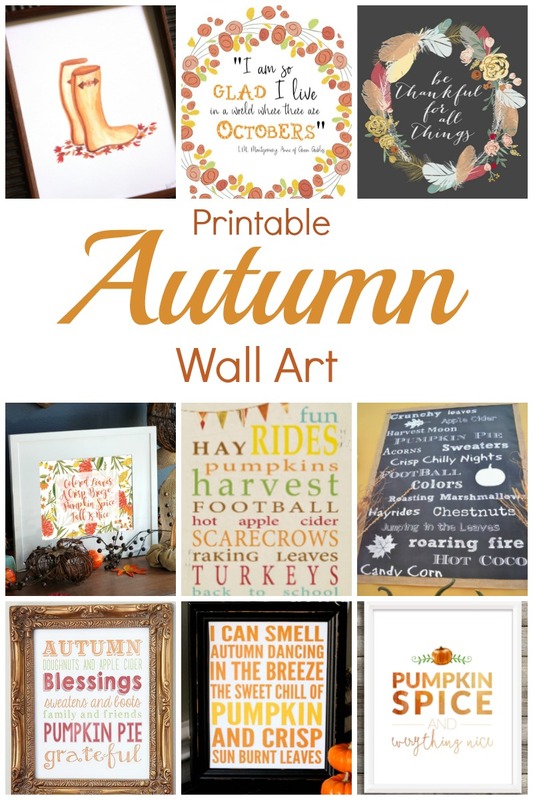 I know you want to shout for joy and decorate your home with all kinds of wonderful things and I have the perfect solution: Fall printables! I just love all these fall printables for your home! Aren't they gorgeous? And you can print them off by visiting each site and paying a little visit to the host. I love that you can decorate your home with a few inexpensive but impactful decor! Isn't it hard to pick your favorite one? I love them all so I have printed them out and am hanging a different one in every room! Woo hoo! I am using some cute but inexpensive frames from the Dollar Tree to help make my decor budget last! Happy Autumn to each of you!